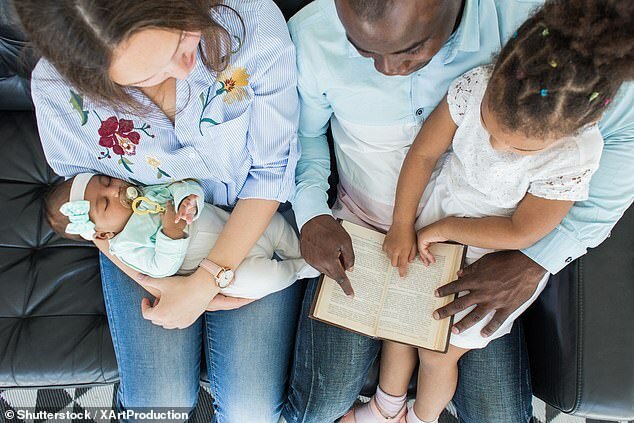 Parents who regularly read with small children boost the language skills of their offspring by eight months, a study shows. 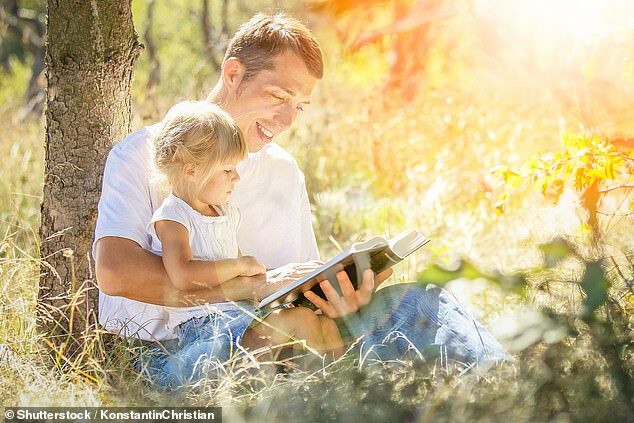 A team of British researchers found that a carer reading alongside a child increases their ability to understand information. The study reviewed 40 years of data which informativeness on parents reading with their children with either a book or electronic readers. James Law, a Professor of Speech and Language Sciences in Newcastle University said: ‘While we already knew reading with young children is beneficial to their development and later academic performance, the eight month advantage this review identified was striking. ‘Eight months is a big difference in language skills when you are looking at children aged under five. ‘The fact we saw an effect with receptive language skills is very important. This ability to understand information is predictive of later social and educational difficulties. The average age of the children was 39 months and the review looked at studies from five countries: the USA, South Africa, Canada, Israel and China. Researchers found receptive language (understanding), expressive language (where a child puts their thoughts into words such as vocabulary and grammar) and pre-reading skills (such as how words are structured) all improved. The most noticeable difference, the researchers claim, was with receptive language skills. Socially disadvantaged children were found to experience more benefit than others. Authors of the study from Newcastle University worked conjunction with the Nuffield Foundation, point to previous research which proves children with delayed language development do worse at school and have poorer outcomes later in life. ‘There have been lots of initiatives over the years to get books into the homes of young children,’ said Professor Law. ‘What we’re saying is that’s not enough. Reading with small children has a powerful effect. WHO IS SMARTER: CHIMPS OR CHILDREN?